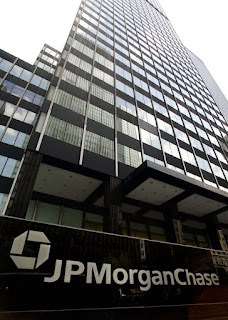 JP Morgan reported earnings per share this morning of $0.87 (ex items) versus the $0.67 analyst estimate, even topping the whisper number at $0.80. Though JPM missed on the top line with $25.6 billion in revenues versus $26 billion expected. Earnings were "driven by a significantly lower provision for credit losses, partially offset by lower net revenue and higher noninterest expense". CEO Jamie Dimon offered his usual cautious stance and thoughts on financial reform in his outlook stating "It is too early to say how much improvement we will see from here. We recognize a number of positive aspects of the pending regulatory reform legislation, including systemic risk oversight and resolution authority. However, many challenges and uncertainties remain which may result in unintended consequences for our clients, the markets and our businesses." Shares of JPM are trading higher by 1% pre-market. Most of Asia sold off last night after China disappointed with slightly slower GDP growth for Q2 of 10.3% versus 10.5% expected. Notably, inflation remains very tame with June CPI at 2.9% versus the 3.3% expectation. The Shanghai Comp lost 1.87% while Tokyo closed 1.12% lower. Europe is holding up better and London is currently flat on the session. Just so everyone knows, the chicken or the egg problem has officially been solved. Thank you to The Reformed Broker for making us aware of this pressing research! It is official, the chicken came first! 1. 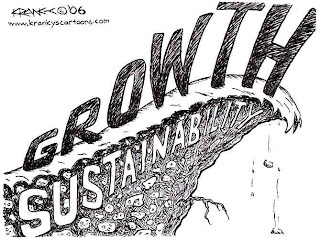 Most of the economic bloggers who are not actually economists miss the default condition -- normal economic growth. They think that unless there is stimulus of one sort or another, the economy will fail. 2. Most current pundits blunder about the state of the stimulus package. Only half of the money has been spent. It is not about to dry up. 3. Even if there was no additional stimulus, the ongoing deficits certainly must be considered. Wade Slome over at Investing Caffeine has a great post highlighting the incredible technological evolutions we have seen in just the past few decades. Much of his point is obvious as anyone could see but it's worthwhile to appreciate how far we've come in such a short time. Measuring simple wage increases fails to account for how much more we can buy with the same wages. The chart below was my favorite portion of his piece. I am holding my puts as a hedge against my longs and I tried a short on the market yesterday afternoon through NYSE:SPY. I nearly nailed the top but held my position all the way back and covered most of my position for minimal profit. I was looking for momentum to take hold through $109 but alas, it didn't. I am staying long individual names with my hedges. Strangely, my hedge of long NYSE:VXX has been one of my best actual trades even though the market has risen. I have the ETF from nearly the dead lows so I will hold until that low is taken out or we see much higher premiums on volatility. There are a lot of hedgers buying volatility so long-dated premiums are extremely high on the underlying VIX and the ETF is seeing much greater than expected buying. Disclosure: Long SPY and IWM puts. Long VXX. Short SPY.